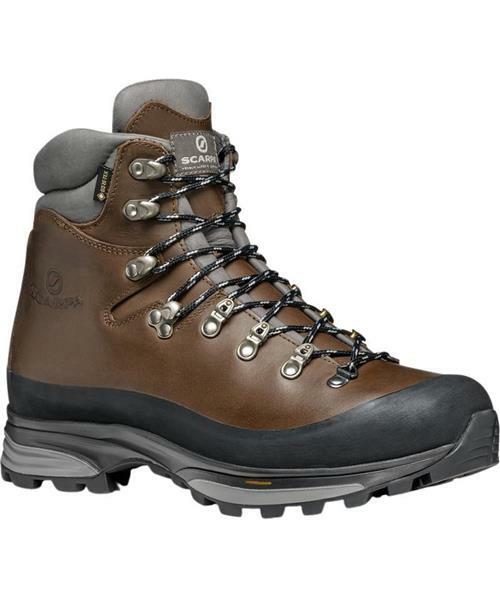 With a full-grain leather upper, multi-density cushioned midsole and the weather protection of Gore-Tex® , the Kinesis Pro GTX is Scarpa's premier, fully-featured backpacking boot that will hold up to years of rugged, extended treks—on or off the trail. Kinesis Pro GTX - Mens is rated 5.0 out of 5 by 3. Rated 5 out of 5 by Ian_idud from Awesome! So comfy I forget I have them on , stiff a board when you first get them but wore them every day for two weeks and now the just awesome.